8 Oz. 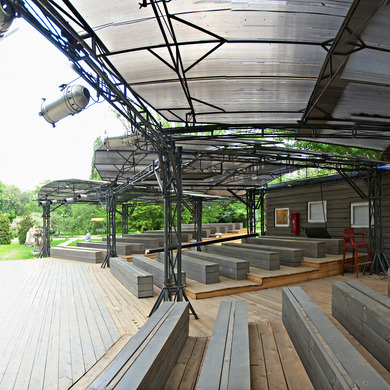 - the new cafe close to Golitsinsky pond with probably the best view in Gorky Park. Local peculiarities - pizza baked in a wood stove, Thai kitchen and warm cocktails. 8 Oz. 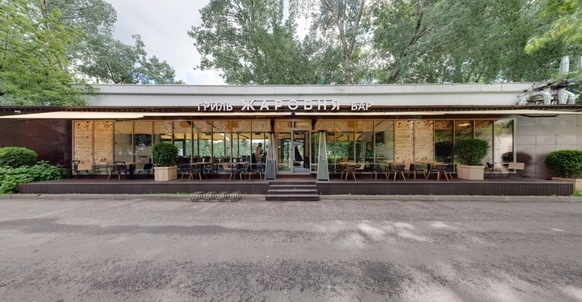 was opened by the same people, who launched the famous Moscow club «Solyanka» and «Lebedinoe Ozero» cafe and in Saint-Petersburg got known for «Dom Byta». 8 Oz. can be considered as demi-seasonal version of «Lebedinoe ozero» that works only in summertime. The menu includes the combination of Mediterranean and Thai cuisines, plus we have a various hits such as syrniki with jam and honey for breakfast or chicken rissole with mashed potatoes. The responsible for beverages is Edwin Barugaba who came to work here after «Simachev bar». He will gladly treat you with wine, mix up a cocktail Old Fashioned or warm up the mulled wine or cherry beer Kriek. The place will fit any occasion (birthday party or smaller celebration) as it’s beautiful and tasty. On Friday and Saturday in 8 Oz. 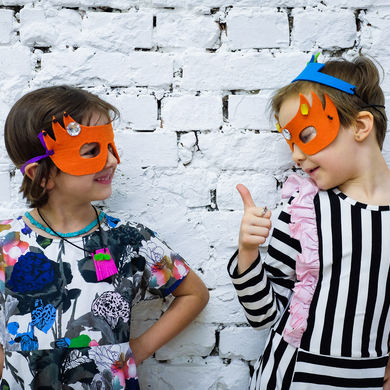 we happen to have parties, however don’t be scared of a loud music: the silver lining is comfort and cosiness.